Growing up as a kid, I have always enjoyed Easter! Its that breath of spring air… everyone is soo happy because they have finally got that dose of Vitamin D that they were needing & its the start to warmer weather! Ahhhhhh Spring Time! Our family loves holidays… & we still continue to even now, just as we did when we were kids. We would always get right into the spirit! The first step to Easter always seems to be coloring Easter Eggs… I was always the one who wanted & tried to have the prettiest eggs… but they would never turn out! I would mix too many colors & have it come out in a nasty shade of browny yellow… or the wax crayon wouldn’t work so well so instead of Easter it would come out “Ester”.. But either way it was a lot of fun! Next was the Easter egg hunt!!! Being a kid you just could hardly contain yourself with excitement! It was like Christmas.. but with CHOCOLATE & lots of it!!!!! Goal: Find all Easter eggs before your little brother… do what you have to do, first distraction “Hey look at the massive egg outside behind the swingset…. (evil laughter) succker” or secondly let him be, cause I would still find more eggs then him! My little bro was awesome.. & such a cute kid! But he was way more chill then me (& still is).. I would have to search & search until I knew all the eggs were found before I would even consider sitting down.. where he would find something he liked… then sit down unwrap it & enjoy..
My cousins on my dads side of the family are very spread out.. there is my brother & I.. then 6 years down the road came my cousin..then her little sister.. then 9 years down the road from the youngest came 3 more little rascals! I love them all!!! 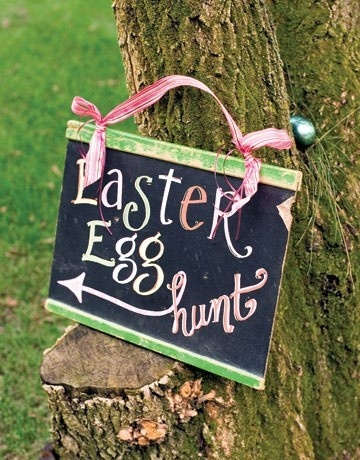 & I must say its awesome because we STILL get to have Easter egg hunts! However now, dad & I don’t remember where we hide them all… & mom will then find herself a snack while pruning trees a couple weeks after. I am very excited for this years Easter! T’s little niece & nephew are coming down, so I get to color Easter eggs with them this weekend… Plus his whole family will be at dinner Friday night (lucky for me I grew up with T’s family & my best friends are his cousins… honestly can it get any better!!) & on Sunday my Auntie is coming up from Mexico, my Grandparents are home from Arizona..all my cousins are coming down (minus the 3 littlest rascals.. wonder if dad will still put on an Easter egg hunt knowing the youngest will be 17 not 2.. hope so!) & to top it all off its supposed to be a nice plus 8! WhooHoo! 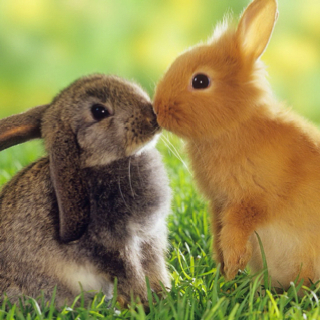 I hope you all have a very Hoppy Easter! Good Luck with your Easter egg decorating & Easter egg hunts.. hope your families can all get together too seeing this is by far the best part of the holiday…that & the delicious home cooked meals! 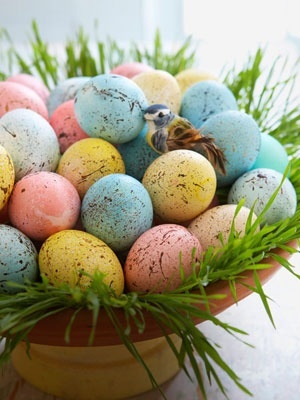 Again Thanks to Pinterest for some Fun pictures for this blog….. if only my eggs looked that pretty!